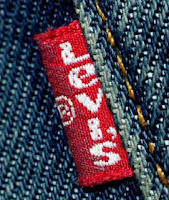 Levi's, the iconic company that revolutionized the world by creating denim has long been a leader in the industry. But over the years with the Jeans market becoming saturated wtih so many style options the company has had to make some serious changes over the years to stay competitive. This year Levi's plans to prove that they can fit jeans on any woman. This is not the first time the company has ventured into creating custom fit denim. They did this in the 1990's but soon retired the concept. Now they plan on revolutionizing the way women shop for jeans. Trying to find the perfect pair is often the most off-putting experience. Our butts can be big, thighs too thick, muffin tops etc...the list goes on. This new Curve I.D. system allows shoppers to have their measurements taken at participating retail locations to find out what fit is best for you. They come in Demi, Bold Curve and Slight Curve.